Matrimony.com Ltd, which owns online match-making firm BharatMatrimony, has acquired SecondShaadi.com from Accentium Web Pvt. Ltd, the company said in a stock-exchange disclosure. Matrimony.com received board approval for the acquisition on Thursday. It did not disclose the value of the deal. “Buying SecondShaadi will help us consolidate our offerings and help divorcees and widowers get wider choices than ever before,” Murugavel Janakiraman, chief executive of Matrimony.com, said. Like SecondShaadi.com, Matrimony.com also operates a platform for divorcees called DivorceeMatrimony.com. In September 2016, the Bombay High Court had ruled in favour of SecondShaadi.com against a petition filed by People Interactive (India) Pvt Ltd, which owns rival matrimonial portal Shaadi.com. Shaadi.com wanted Accentium Web Pvt. Ltd, which runs SecondShaadi.com, to stop using the word ‘shaadi’ in its domain name. It accused Vivek Pahwa, founder of Accentium, of ‘passing off’, a term in trademark law that means making a false representation that is likely to induce a person to believe that the goods or services are those of another. However, the court said in its order that the word ‘shaadi’ is generic, and hence, Shaadi.com cannot stop others from using the word as a prefix or suffix for their portals. Besides SecondShaadi.com, which it started in 2006-07, Accentium ran a number of others businesses, all of which were sold. It owned price comparison website Priceraja.com, which was sold in 2017-18, Pahwa said in his LinkedIn profile. In 2011, Accentium sold Gaadi Web Pvt Ltd, which operated auto classifieds site Gaadi.com, to MIH Group, a subsidiary of the South African media group Naspers. In 2007, Pahwa sold social networking site DesiMartini.com to Firefly eVentures, a wholly-owned subsidiary of HT Media. 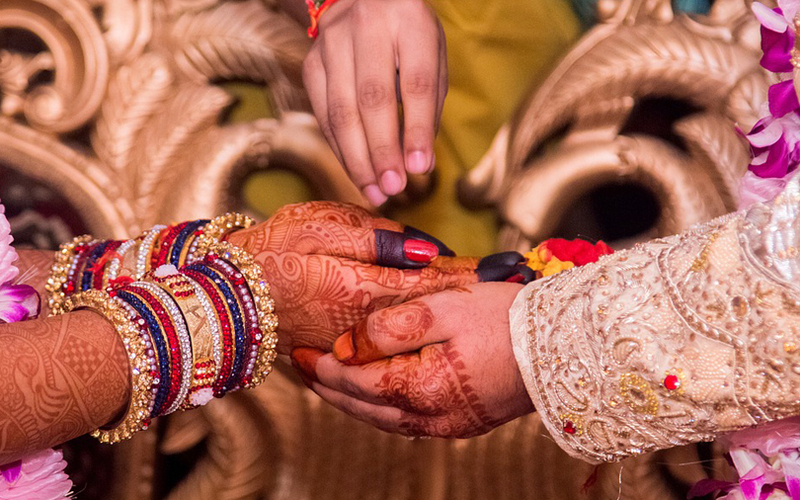 Matrimony.com provides matchmaking and marriage-related services to users in India and the Indian diaspora worldwide. Its brands include BharatMatrimony, CommunityMatrimony and EliteMatrimony. BharatMatrimony has over 140 outlets spread across India. Founded in 1997, it has been offering online matchmaking services since 2001. The Chennai-based company listed on stock exchanges in September 2017 but got off to a weak trading debut. Matrimony.com registered consolidated revenue of Rs 83.66 crore and made a net profit of Rs 23 crore for the quarter ended December 2017. For the quarter ended September 2017, Matrimony reported a consolidated net profit of Rs 19.16 crore, up 64% from Rs 11.69 crore a year ago. The firm’s consolidated revenue stood at Rs 83.7 crore, 13% higher than Rs 73.61 crore in the same quarter last year.